Ruby is a portfolio Non-Executive Director and Advisory Director with current positions which include Mace Group, the Department of Education and Bath University. Ruby was the Chief Executive of MITIE Group PLC, the strategic outsourcing company, employing over 65000 people predominantly in the UK. She joined MITIE in 2002 and was appointed as CEO in 2007. 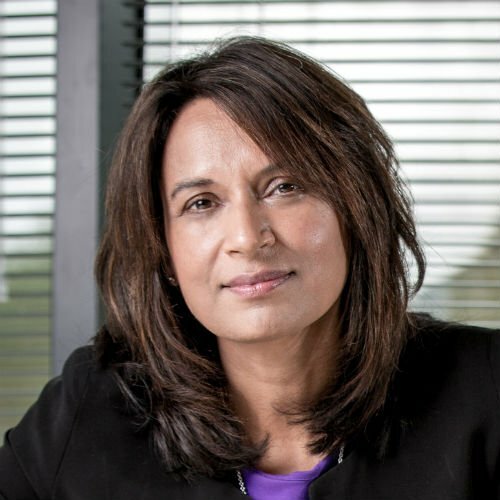 She is one of a small number of women who have held the position of Chief Executive in the FTSE 100 and FTSE 250 and is the first Asian woman to be appointed in such a role within that group of companies. Ruby was also an Independent Non-Executive Director of PageGroup, appointed to the Board in May 2007. She chaired the Audit Committee, was a Member of Nomination and Remuneration Committees and also latterly their Senior Independent Director. PageGroup has 35 years expertise in professional services recruitment and currently employs more than 5,300 people in over 160 offices and 34 countries worldwide. Ruby is a member of the Women’s Business Council (previously Chair) and a Member of the European Committee for Internal Markets in the House of Lords. She is responsible for the Independent Report to the UK Government on Race in the Workplace published in February 2017.